Social networking was a concept originally founded for the masses to use on a very overlapping basis, but alongside the acceleration of Enterprise 2.0, things have begun to pick up, and fast. After social networks surpassed the sustainable monetization stage the first Web 1.0 companies couldn’t, and evolved to an adequate scale and spectrum, the next, less generic step formed: professional use. Once enterprise discovered social networks’ potential as a means of fast, accessible and affordable communications between remote workers, professional networking began to grow out of the single all-inclusive concept which generically encompasses social networking. There are, or at least were, some obvious benefits of using Facebook and Twitter to share data and information, notably the fact no training was required for employees already accustomed to the simplified UIs via their own personal experience. However significant, this use by the enterprise was only one aspect to professional networking, which branched out to encompass other fields as well. These include individual employment of LinkedIn and similar services. And, as social networking geared more and more user interest, enterprise focus began to fall on two very specific elements. The major social networks alone, namely Facebook, Twitter and the ever-fading MySpace, have over a billion user combined, and they’re not the only ones to monetize these demographics. Enterprises utilize various social networking resources, including advertising, dedicated channels, metrics and Big Data to boost marketing and consumer perception. A recent example of enterprise, cross-sector use of social media can be taken from an eMarketer interview with insurance company New York Life’s senior VP Ken Hittel. Hittel discussed how his company utilized Twitter to generate a ‘real-personality’ interactive customer experience, and overlaid the company’s channel launch with its Big East championship promotion. Hittel continued to note New York Life’s partnership with Educated Investor for the development of a basic finance education offering on the company’s Facebook page. Continuing the interview, Hittel pointed out the use of social networking engagement metrics to assess the company’s social media presence in a changing landscape. However, massive amounts of social networking user data are also utilized in other ways, which include history, interest and personal network -based targeted ads. Enterprises utilize social media for outbound purposes, but internal use represents the second, equally significant element of the two noted above. communications and collaboration requirements drastically increased, and general public-optimized social networks were abandoned in favor of specifically targeted enterprise-centric offerings. Demands which were not answered by Facebook and Twitter were addressed and compensated for in these new offerings, which multiplied in number. Security, transparency, integration and functionally were all drastically enhanced and optimized for the enterprise, resulting many, relatively still fresh products. Cisco Quad, IBM Lotus Connections/Lotus Quickr, Jive, Socialware, Hearsay and dozens of others are all now competing for market share in what was once only an almost makeshift market. Increased competition means enhanced offerings. In terms of internal social networking platforms, this translated into blogs, wikis, calendar integration, project planning, instant messaging, video conferencing and VoIP options on a massive scale. What goes around comes around, and after insufficient features were replaced by complex functions and capabilities, the need for simplicity and clarity soon realized itself. Internal enterprise social networking offerings are often fairly complex, sometimes one or two steps exceeding efficiency. A large bulk of only partially-necessary functions has some very obvious downsides to it, most notably when it comes to organization and time consumption on the user. Research firm Gartner predicts that social networking will replace e-mail as the main communications channel for 20% of business users by 2014. Nevertheless, growing demand doesn’t mean the necessity will be properly answered. Enterprise social platforms are not designed for socializing, and highly popular social network add-ons are simply not designed for large-scale business users. Another factor is training, and an internal community platform probably is not worth the training time it would require. Simplicity is a requirement for internal networking, and it’s this factor which can make a piece of enterprise software into an advantageous operational asset for a given company and workforce. Legacy software integration, large-scale real time collaboration and communication channels cut down to the simplest and most scalable form derived from actual UX form a more realistic structure, and are already utilized by existing offerings. 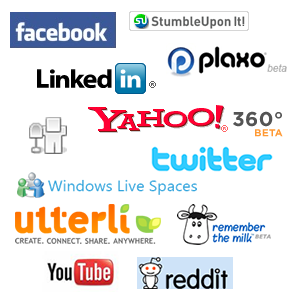 Overall, enterprise social network offerings still need some time to mature. On the bottom line it’s all about boosting workforce efficiency and answering corporate needs, and social networking may not be the answer. Gartner predicts that while 50% of enterprises will use social networking activity streams next year, they will have less than 5 percent penetration. Moreover, 2012 will be the year “over 70 percent of IT-dominated social media initiatives will fail”, and only 25 percent of enterprises will routinely utilize Big Data from social networks by 2015. All and all, it’s all about necessity and practicality. The answers to these will probably be shaped around mobile and cloud computing, as these continue to integrate directly into business operations at an ever-accelerating pace and maximize corporate assets.